Climate Clown Arnold Schwarzenegger Mocks President Trump’s Support for Coal | Watts Up With That? Humvee fan Arnold Schwarzenegger demonstrating his profound ignorance of climate issues. He then compares Trump’s attempt to “rescue the coal industry” to rescuing other relics from America’s past. Schwarzenegger seems to think the President is forcing people to use coal. Arnie thinks the USA should be investing in gas, wind, solar and geothermal energy. As far as I know President Trump is not forcing anyone to use coal. According to an internal White House memo obtained by Bloomberg a few weeks ago, President Trump explored providing support for energy suppliers who kept three months reserve fuel supply onsite, to protect grid resilience. As far as I know this offer would in principle have been available for renewable energy suppliers who could demonstrate their ability to provide three months battery backup for their nameplate generation capacity. Of course, in the real world most renewable providers can’t promise a stable power supply for three minutes into the future, let alone three months. July 1, 2018 in Ridiculae. Speaking of electric cars and hybrids. I wonder if the current administration has stopped the practice of providing preferred parking for low emissions vehicles at certain Federal facilities. I first noticed it during a visit to the Visitors center at the Gettysburg battlefield. It is a discriminatory policy that should be shut down. Then again, segregated parking for vehicles that can burst into flame could be a good idea. In that case, they should be at the back of the parking lot, well away from the building and other cars. Electric cars—tech from the 19th century. Why are they not a “ laughable, outdated technology,” that as Schwarzenegger said, “It is foolish to bring back“… “to suit your political agenda“. What about 14th century windmills? Coal-fired electricity generation is reliable, efficient, and cheap. It’s only defect is that it offends modern religious sentiment. It generates more CO2 per kW-h than other fuels. So of course what that actually means is that coal has an additional positive attribute that it is efficient at fertilizing crops to support a growing population. The religious belief that CO2 will cause CAGW is just wrong. ok, to be fair…electric cars are actually a superior technology, the problem is that they are tethered to batteries – that’s what’s killing them. If there were a magical storage capability, it may be that very few gasoline engines would be sold. Batteries are the real joke here. Yes that’s true. I actually would like to have an ev if I didn’t routinely drive over 200 miles on a trip and live in a cold climate. Regardless of whether the battery technology can be made safer, cheaper, and higher capacity, the electricity has to come from somewhere reliable, preferably inexpensive. So not windmills, not solar. Geothermal might work in some locations. Natural gas is a great option, currently cheaper than coal, but how much of that is due to intentionally-punishing regulations that could be relaxed or met with cheaper technical solutions? I’m not for allowing actual pollution just to get cheaper electricity though. And then there’s nuclear, the poster child for intentionally-punishing overregulation, which should be cheapest of all. Coal plants practically eliminated real pollution years ago, hence, the moving goal posts and claiming CO2 is pollution. And so would everyone else, Rich. But then no one could afford them because lithium and cobalt prices would be so astronomical that the batteries would be orders more expensive. To put it into perspective, if oil were replaced with EVs right now, the entire known supply of lithium would run out in just 7 years. More lithium will be found, but clearly not enough for us to replace our entire transportation sector with lithium-ion batteries. Putting this into the context of mineral reserves… 600 million EV’s would consume 907% of the 2015 proved lithium reserves and 615% of the 2015 proved cobalt reserves. That’s a lot. That’s disruptive. You forget David, that Li-ion batteries can be made with a different material besides cobalt. For example LiFePO4, LiMn2O4, Li2MnO3, and LMO. Cobalt is what delivers range. If you ask people for their number one concern about making the jump to an electric vehicle, driving range will pretty much always be the answer. No matter how many press releases automakers send out touting incremental improvements, people still worry about being left stranded. The reason is simple: Even with Level 2 equipment, it still takes several hours to charge up an EV, and people know they don’t have that kind of time. Even a DC Fast Charger (if your car supports it) takes most of an hour if you want more than 80% of your range. According to New Scientist Magazine, German company BASF is also working on improved cobalt-nickel battery technology that will provide the sought-after experience of a charging station that works as quickly as a gas fill-up and which provides roughly 300 miles of range in a standard EV. In lithium ion batteries, cobalt is a key component of the cathode. The batteries operate by shuttling lithium ions back and forth between the electrodes, which are layered materials that can intercalate the lithium ions. The cathode material therefore needs to have the right crystal structure to accommodate the ions, be stable enough to withstand ions moving in and out without changing, have valence orbitals available to accept electrons to balance the ion charges and the capacity to store as many lithium ions as possible. Transition metal oxides meet all these requirements to some degree, and cobalt gives just about the best performance across the board. ‘There will always be a certain amount of cobalt needed in these cathodes,’ says Ceder. ‘What happens in most metals, when the lithium moves out, is the metals start to move into those empty spaces. What is so spectacular about cobalt is that it is extremely immobile in these structures,’ he explains. The first cathode in the very first lithium ion battery, conceived by John Goodenough, was lithium cobalt oxide. Paired with a graphite anode, it has the highest energy density of commercialised lithium ion batteries, making it the go-to cathode for smartphones and tablets. David, battery technology is not static as seems apparent in your worldview. You still need lithium metal, Betty, aside from lithium ion. It’s lithium metal that provides the current that the batteries deliver. And lithium metal must be made from lithium ion using electricity from elsewhere. ah yes! isnt china making a mess on the seafloor dredging some of that up? 2) That means 10 cubic meters of seawater contains one gram of Lithium. By the way those 10 cubic meters also contains 0.9 grams of copper, so why are we still mining copper? There’s gold in them thar seawater too! LOL! And a heck of lot of hydrogen, ~100 g/L. So if building enough batteries to turn the world’s transportation fleet into EVs would exhaust the continental resource in 7 years, 7.57 million tonnes per year, we’d exhaust the entire ocean’s supply in just another 30 years. And 230 billion tonnes is not “very large.” The ocean weighs about 1,315,000,000,000,000,000 tonnes and lithium content is 0.000183 g/L. So it would require passing about 5,500,000 L of water through the system to collect 1 tonne of lithium. Let’s say we can pump 1,000 L/h at 20 kWh. The 5,500,000 L of water requires 110,000 kW just to pump. That’s about $14,000 (US prices) just for electricity to get a tonne of lithium, and at 100 kg/20kW battery, that’s 10 batteries. This is all very (very very) conservative because the head would be more than what I used to calculate the power required, the actual power requirements for the entire operation would be much higher. The current price of lithium is about $13,000/tonne, which includes mining, processing, shipping, and the meager margins of the mining industry. What would the price need to be to make skimming 183 micrograms per liter of ocean water cost effective? Who’s going to be paying for EVs with that price? Oh whoops! That’s 5,500,000 liters per kg, so just a paltry 5.5 billion liters of sea water needed per tonne. That throws those costs into cosmonaut range. Elon Musk MIGHT be able to afford an EV under this scenario. 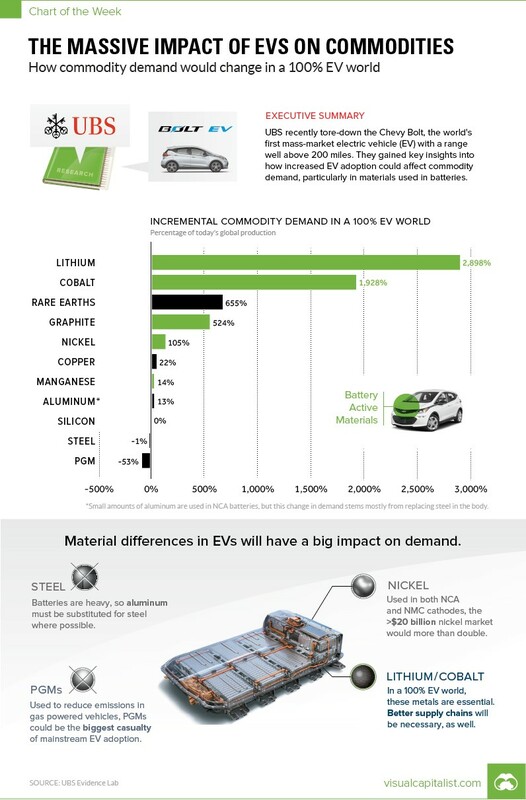 Funny how a few calculations can ruin a greenies suggestion that its EVs all the way…..
At some point, the largest reserves of Lithium (and cobalt) would be used Lithium batteries. I mean, Lithium is not burned out, It is still in the battery. It shouldn´t be that expensive to recycle it. But it is. It’s currently cheaper to purchase new Lithium than to recycle it, and there is no sign of this changing soon. Save the Red Fin Lithium tuna NOW! The ocean also contains billions of dollars worth of gold. Just run down to the beach and extract it. Better take a 55 gal drum of sunscreen. You may be there a long, long, long, long, long, long time. How much energy is required to extract the Li from the seawater? From whence the energy ? toxicity and processing needs to get lithium for seawater extraction? real pollution from RE minerals isnt a joke. That’s lithium ion mines, Betty, and the lithium ion content of sea water. Lithium ion is Li(1+). It needs an electron to become lithium metal, and thus to be useful in a battery. Guess where that electron comes from. Right. From a power plant that generates electricity. Guess how that electricity is made. Right. Burning coal, or oil, or natural gas (or hydro power, or nuclear). Earth to Betty: no free lunches, over. . . .
and other sources of energy. of the initial energy has been wasted. of the problem, but not the whole problem. a few months ago, that may interest you. Basic issue is the same as the difference between a rocket or jet powered cruise missile. The jet version, although more expensive to build, has up to 3x the range because it only carries fuel, not oxidiser as well. Plus, the reactants in a battery can’t be too energetic or they react of their own accord, causing self-discharge. The piston or jet engine (or fuel cell) can use more energy-dense fuels, degradation not being a problem since the oxidiser is separate. well unless they manage some amazing method to allow cars to run like trams do? to run cars like trams would assume rigid defined routes only..why bother. Electric power beats the internal combustion engine fair and square in major motorsport. Part of the $2B investment in US electric development after diesel scandal? Yes, very different from day-to-day driving and the load of massive numbers of cars on the grid. But in this narrow segment, electric rules – and has been fastest in the past – and is predicted to be THE technology to beat in this particular race. IMO automobile racing will be the absolute last area to be penetrated by EVs… I just cannot see any dedicated or even casual race fan bothering to watch a bunch of cars roll near-silently around (or along) a track. EVs will have some uses in some places for sure, by some people, but not on a race track where fans expect to hear the roar and whine of high powered engines, be able to smell the gasoline/racing fuel and other smells associated with ICE engines, and watch spectacular crashes. There would be no traditional smells or sounds with EVs, and honestly, a crash would be quite dangerous and probably require the evacuation of everyone in the stands. Great for drag racing. Not so good for anything longer than a few miles. That is changing. The NIO EP9 is a pure BEV and managed 6m 46s around the Nurburgring in May 2017, a very strenuous 13 mile run. That puts at least one pure EV in such company as McLaren P1, Porsche 918 Spyder, Dodge Viper ACR, Lamborghini Huracan Performante, etc. And some of those top 100s are hybrids. ICE / hybrids will continue to dominate very long races for some time. I find tire noise to be the primary sound and high perf electric motors do make noise. Or you can fake it. Surprised the government hasn’t tried really long extension cords. That would work about as well as all their other “green energy” solutions. hey..14th century windmills could provide milling force 24/7 as long as they had water, which they could also pump or be used to drain off. they could also have been used to mill lumber i dont know if they did ?but it wouldnt have been beyond their tech. todays mega costly birdshredders might provide somepower to do any of that…briefly -some days- from what i’ve seen. Speaking of misled, what happens when two older Priuses collide slow speed in a parking lot? The real answer is they are both totaled from an insurance standpoint because of the extra thin metal skin used on them and the inability to replace it. I think certain low income, bad driver Prius owners already know this one. That’s not even getting to the safety aspect of ‘extra thin’ cladding. Gordon Bennett, he is an actor, paid millions to repeat lines, end of chat. And a RINO governor at that. Gordon Bennett was an extravagant American billionaire with a penchant for yachts and fast cars. Hence the exclamation of surprise ‘gordon bennett’…. Mr. Schwarzenegger is a UN facilitator. This can be tracked back to his association and activities with the UNDP while he was governor of California. His family association with the Kennedy family and cousin Joe Kennedy on the Board of the Chicago Climate Exchange along with fellow Board Member Maurice Strong. It would be nice to leave out the name calling and just present views based upon science. That is what this site , as I understand it, is supposed to be about. Science and fact. No need to slide to a lower level. If a warmist would be saying that you would be rightly pointing out the hypocrisy. Injustice is fixed by justice, not by another injustice. Reasonable people won’t and shouldn’t find name calling very convincing, and if you use name calling just because your opponent uses it, then you are no better than them. Ad hominem is ad hominem. Doesn’t matter which side uses it. Besides it’s silly to think that name calling will somehow “improve communication” and convince anyone. This is yet another evidence how broken this whole mess is. First off, so my position in known, I don’t believe in turning the other cheek just “slapping” back again and again with facts. When, I ask, has a point ever been proven —or an understanding reached-with insulting name calling to start a conversation? well arrnies not using science and his past contacts and influencers ARE of concern as they DO have a bearing on his outlook and stance. Sorry to upset you, concern troll. Oooooh Donald, “3 months reserve” – u iz on da thin ice there. Reason being that there is only 74 days worth of Global Nutrient Free & Tasteless Mush Reserve. Still can’t post anything on-topic. On topic? I’d settle for coherent. If our electricity goes off the ice cream in the freezer needs to be eaten or thrown out in about 24 hours. Others foods might last 3 days, only because we have about ½ pound of ice for each pound of solid food, for example chicken or ground beef. Peta’s comment seems to imply that the total reserve food supply of Earth is somehow relevant to a loss of local or regional electric power that might last a few days or weeks. Even in the case of Puerto Rico, where poor government, bad choices, and a storm, crippled the power generation, the “Global Nutrient Free & Tasteless Mush Reserve” has not been stressed. In fact, it didn’t notice. As Jeff Alberts suggests @8:07, Peta of Newark needs to up-her-game and try again. Peta, we agree on one thing; pandents are soooooo tedious. I doubt that anyone with a couple of functioning brain cells pays much attention to what the Hollywood cretins are saying these days. Their constant protests and obvious hateful nastiness starting the day after the election in 2016 and continuing from the likes of De Niro at every opportunity reached the total saturation point long ago. But I want them to keep it up. They, like much of the press and the rest of the “resistance” are too stupid, too self absorbed, to understand that such antics only help the politicians they hate so much. Al Bore, Arnold Schwarzenegger and the Pope. They are a scientific ‘”Dream Team”. Al Bore is rich and famous. Arnold is rich and famous. The Pope is surrounded by riches, and famous. to become a climate science expert? I don’t know what wage the Pope pulls, but he lives in opulence, surrounded by marble and gold and the best paintings that money can buy. He must be a better climate scientist than those other two slackers. Arnie with his very high public profile is doing a great job in terminating climate change. He is more popular than Trump ever will be and the Donald is jealous. Keep up the good work Arnie! You forgot the /sarc. But perhaps……no you couldn’t be that ignorant now could you? That ignorant and more so. Schwarzenegger mocks Trump about coal use but he doesn’t see the massive quantity of goods from coal-powered factories in China etc. flooding the US through California ports. We do a great job of hiding our dependence on coal out of sight while virtue- signaling with our Tesla’s etc. “Terminating” the coming climate change disaster is easy. can be “stopped” at any time! ). I give up. Impregnate your housekeeper? I think it it Arnold who is jealous. His ratings are lower and he wants to be President but knows he can never be. Ivankinsman – be careful using popularity as a measure of correctness. In 1938 the Austrian public voted in a referendum 99.75% in favor to merge with Germany. Arnie seems harmless but the movement may not be so harmless. Arnie has the looks, the accent, the popularity, and the megaphone. All I have is an MS having passed college courses such as Momentum, Mass, and Heat Transfer, Organic Chemistry, Physical Chemistry, Thermodynamics, Mathematical Physics, etc. . . . But I lack the popularity and have no megaphone. The idea that climate activism is the majority opinion is as delusional as the idea that our CO2 emissions will lead to runaway warming. The danger is in politicians lying to become elected, such as Obama, and then enacting radicalized policy after they’re in office. So Arnie has guaranteed that there will never be another ice age. The terminator is more effective than even he imagined. 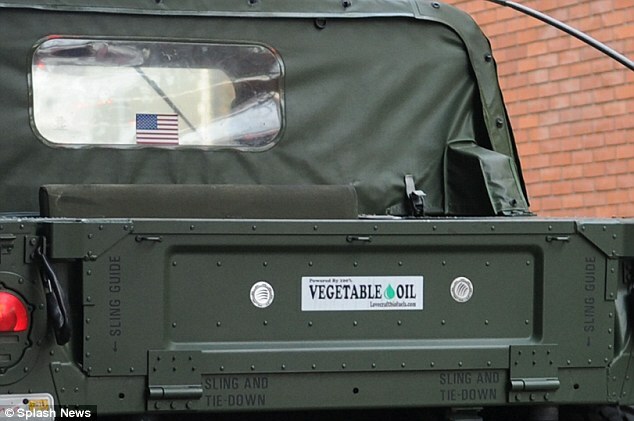 As to CO2, the guy who drives the biggest Humvee on the planet is your idea of a climate warrior? Sheesh, just how clueless are you? That may be, but Arnie lives in a fantasy world (even his political stint was a fanciful meme and easily forgotten) while The Donald is handling the reins of President rather well, thank you. I seriously doubt The Donald is jealous of anyone or anything at this point. The Don’s next project? Keep America Great. That’s another 4-year term, by the way. Nice to see you back today, your humorous opinions enlivens the day for some of us. They also misled customers in their adverts, by saying that the Leaf had no emissions. I took Nissan to the advertising standards agency, pointing to the large gas and coal fired power stations in the UK. And Nissan were forced to change their adverts. So the “no emissions” is only true if you choose what counts as emissions and what does not count. Just like everything else the green mafia labels as sustainable. The chart linked to by Urederra has zero brake wear and larger tire wear for EVs. EVs can be expected to have 20-30% of the brake wear of a similar sized ICE vehicle – so I’ve read. That chart requires some explaining, dates, and assumptions, without which it is of no great interest. Sorry, I just wanted to point out that EV cars emit PM10s (and PM2.5s). I posted the first chart I found over the internet as a proof. You might be right about the brake wear. And I don’t doubt you can find more accurate charts. but the point about EV cars emitting particulate matter still holds. I hope we can agree on that. In a way people like the Stupidnator make me feel good, alittle. No genius at all, but apparently I’m way smarter than almost everyone in entertainment, the media, academia, politics, alot of businesses, and just about anywhere else. Not including this site & a few others, of course. This is what washed up actors do. They just need a little attention once in a while to believe they are still relevant. 3. Not available very often to discourage industry from existing. If he thinks going back to coal is too far then he’ll be amazed that some people are looking even further back to wind. Have you a better descriptor? Arnold was so disappointing as Governor. Gray Davis was recalled partly because of the blackouts, and I thought the green madness would be discredited for a long time. Schwartzenegger apparently forgot how he won in the first place. Why do I get a vision of Doofenshmirtz? Perhaps you are of a youngish age and have children. I had to look that up. Others of us might think of Master Sergeant Schultz. Proud to say I have never seen a Schwartz-nagger movie. There is enough chaos and inanity in life without celebrating a dimwitted nonentity. Don’t use coal because it is causing something that is not happening. At least Arnold is talking in terms he understands, show business. The Blockheadocracy, including the Terminator and billionaire blowhard Tom Steyer, daily bite the hands that feed, light, warm & cool them, and trumpet that ingratitude as a moral imperative. To add injury to insult, they wish misery-inflicting, retrograde policies on the poor, both foreign and domestic. 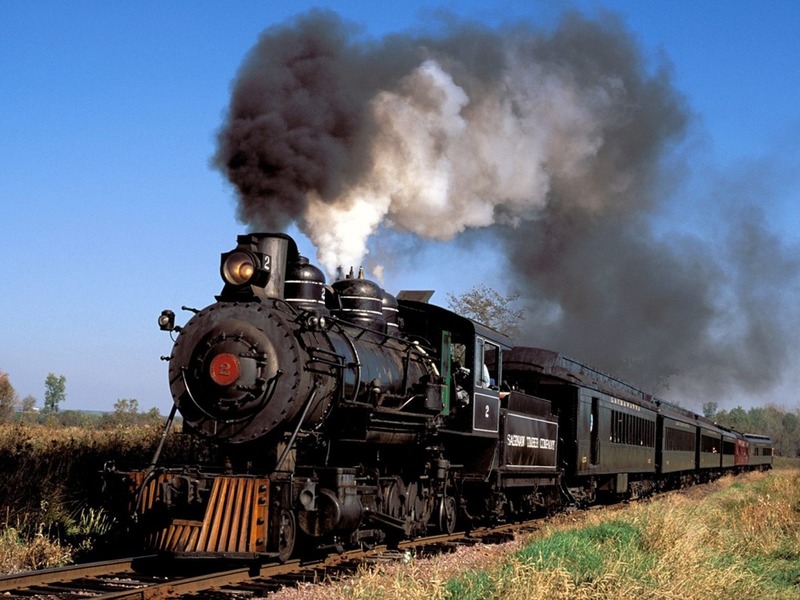 I once was a passenger on a steam-powered train, in the early 1950s. Soot would get in the windows if they were opened. when the electric trains were all stranded in the UK a couple of winters back..it was Coal Trains that got them moved and saved people n goods. It’s interesting how you spin grid resilience out of the fact that coal fired plants cannot compete with gas fired. And that you didn’t mention at-risk facilities, meaning those that cannot compete. Coal losing out to gas has nothing to do with grid resilience, if anything gas is a lot more responsive to demand surges than coal is. Are you really that stupid or just ignorant? Coal most certainly can compete with gas given a level playng field, whch, thanks to Zero, coal no longer has. All Trump is trying to do is Make the Playing Field Level Again. It really is fascinating how you will believe any piece of propaganda, so long as it’s agrees with what you already believe. MarkW – go ahead and post something to support your position. Otherwise, it’s just more of your usual empty words. Given your posts are self-refuting, why should I post something that’s redundant? It’s not self refuting. It shows the levelized cost of new coal-fired power generation, even without CCS, is still higher than combined cycle gas. You’re lazy – we all get that. 50-100 posts per day and no links – it takes a special kinda lazy to accomplish that. But gas cannot be stored on-site like coal, and so its users are more susceptible to shut-downs from interruptions in supply (from many causes) and from peak-demand spikes by other users. And were just one real cold January away from the price of heating being the least of people’s concerns. Likewise. Thanks for the comment. Apples and oranges. But then you already know that. Since you’re such a genius, you shouldn’t have any trouble telling us how long a gas fired power plant will operate if supplies are disrupted? It is indeed foolish, the very height of foolishness in fact, to bring back laughable, outdated technology to suit a misguided and profoundly ignorant political agenda. Wind and solar power are prime examples. RINO (Arnold) vs. RHINO (Trump): the GOP’s dilemma. No one with a functioning neuron in their head believes this guy is actually a Republican. The media-invented “dilemma” seems to be working out pretty well for the GOP and not so well for the Dems. It’s worse than I thought – he’s so proud of causing bio-fuel habitat destruction that he announces it with a bumper sticker! but it’s not nearly as harebrained as ethanol. Recycling of most things is not helpful and landfills always seem problematic. When I was young, we had “dumps” that had rats and black bears scavenging, for food. Now we “dump” at a “transfer station” where I see much wood, paper, and other materials that can be burned for energy. I think the dozens of examples of biodiesel fuel plants explosions shows just how much more effective and safe simply burning the waste oils would be rather than recycling. Huge tracts of rain forests are being cleared to grow palm for oil to be converted into biodiesel. And in the U.S. and Canada, a lot of canola and soy oil are used for the same. I guess steroids really do rot your brain! “It is foolish to bring back laughable, outdated technology to suit your political agenda,” Schwarzenegger says. “I mean, what are you going to bring back next?” How about railroad trains, the premier ground transportation of the 19th century? I think “the wheel” qualifies under that description. Let’s see, the coal industry being hindered by government intervention despite adapting and innovating greatly over 50 years, is not the same as Blockbuster [practically] going out of business because they took advantage of their monopoly for years and failed to adapt. Communists have trouble understanding how Capitalism works. Class A hypocrite this Schwarzenegger person. Does he plan on replacing the engine in his surplus army tank with an electric motor and D-cell batteries? Will he retrofit his Gulfstream III with rubber bands? Loved his drive and accomplishments during his younger days. Don’t know why he switched to this green religion (environmentalism) loved by socialists. Yeah, I love him as an actor. He’s so iconic. I just wish he and other actors would focus on what they are good at: acting. It was a hard thing to do and to time, but retrenchment was in order. It is obvious in hindsight. I do not know that I could have sold that much property and fired that many employees. Blockbuster could have survived in altered form. Swartzenegger’s negatives are very high . It gets easier every day to skip watching his movies except for Terminator & Conan. He keeps it up and those will be thrown in the dustbin, too. Blockbuster still survives in places without good internet, like Fairbanks, Alaska. The failure of the company should be used as the poster child in business classes today for leadership failing to plan and adapt. From $6 billion in revenue to gone, all because they couldn’t foresee events unfolding right in front of them. Sounds a lot like the story of Kodak. The UK’s catastrophic shortage of CO2 continues, supermarkets ration sale of fizzy drinks, … pigs stunned! meanwhile a bit further down the road Elon Musk and greens are set for a bit of an internecine fight. ‘Schwartzy’ is a twerp, but I still like the clown. I have science based degrees, does that make me qualified to act in crappy Hollywood blockbusters? Yes. You might be the first smart male in movies. See Mayim Bialik, Lisa Kudrow, Geena Davis, and Hedy Lamarr. Hedy Lamarr’s engineering “hobby” was amazing. This precisely the reason his scripts were three word sentences as few as possible. Time to retire Arnold. Your politics is worse than your acting. What we see here is an attempt by Arnold Schwarzenegger to bring back Arnold Schwarzenegger, who has become irrelevant. This is sort of like trying to find a use for an empty beer bottle. In other words, if you are a notable actor, you can say, “I’m rich, I’m famous, I’m successful, I’m comfortable times ten compared to most people, and it’s all because of fossil fuel, BUT if you are not already all of these things, then you cannot do this the way I have done and AM still doing it — you have to actualize my fantasy of neoEden — I did all this acting for YOU to nurture YOUR fantasies, now it’s YOUR turn to nurture MY fantasies. Coal has already been “rescued”, Mr. Schwartzy… Too bad you haven’t taken the time to figure that out, sir. Do steroids cause brain damage? Arnie says no, they don’t cause dain bramage. Bought and paid for by the globalists. Enemy of humanity. Then he can tell China to stop building plants every day. Arnie should go back in time. And stay there. Floppy disks? I thought the brainless Strawman belonged to an entirely different movie. Schwarzenegger obviously didn’t make reference to going back in time to rescue his marriage to Maria Shriver . . . that would have required him to, ahem, terminate himself. We had better get rid of the oldest fsiled energy source, wind. The future will thank you. Pity can’t just reflash his chip like they did in the movie. Arnold, Arnold, Guess what? You’re not an “Action Hero” either. Trump is actually producing “action” despite resistance from all sides to regain and/or preserve what this nation was founded on, The Constitution and The Bill of Rights. He may not be perfect but he certainly comes closer to a real life “Action Hero” than you have…in real life. So Ahnold, I know you really didn’t want to be such a failure as Governor. If President Trump started (S)hitting bars of Pure Gold, the left wing nuts would complain that he was stealing the wealth of the unknown universe !! There are 3rd graders that can frame this better. FWIW, the Terminator franchise is set to release a 6th movie in 2019. Arnie’s likeness was CGI’d in the last one or two versions, but he’s back in full for this one. First one was good as was the 2nd…although the CGI hasn’t stood the test of time. But a 6th? Come on. At least it’s not for a political agenda…is just for $$$$$$$$$. Take away fossil fuel Arnold and we will be going back to “ Floppy disks Fax machines Beanie Babies Beepers Or Blockbuster Think about it bobble head, everything after these that you enjoy now (i.e. cellphone, cds/dvds etc.) are made with Petroleum. Dummy! Must have taken too many hits to the head. I suggest you stick to making muscle movies. Next thing you know, ole Arnold will be making fun of the Chinese for using coal. Neither Trump nor the Chinese will pay any attention to Arnold. Arnie was most effective in movies when he said almost nothing . He should stick to movies and tend that picket fence . arnie married well or he’d have been in the gym and maybe a bit part or two..
his opinion on anything outside a gym back then and now as well? 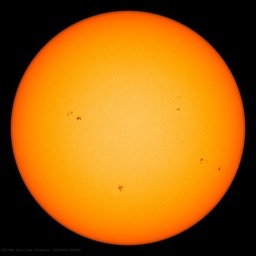 I wonder what Lassie, Rin-Tin-Tin & Beethoven have to say re AGW? After all … they are also in the entertainment industry. His movies were good. But that is about it. Schwarzenegger may very well be a climate clown but using terms like that in a headline degrade our position as presenting “real news”. Cheap shots like this and “Gorable Warming” might well be red meat for the faithful, but turn away any people who may be on the fence. We look petty and idiotic when we resort to calling names. Do we really want to be a race to the bottom? He’s still trying to climb out of rehab. Global warming cries must be the most handy distracting message in cases of sexual misconduct as seen by Arnold and the Vatican. All very interesting comments but you all missed the obvious retort to the governator which is that in v1.0 he himself went back in time to destroy the future of humanity, so we just have to wait and LOOK FORWARD TO Trump’s 2nd term! roidman arnold used to make fun of a deaf guy because he couldnt hear the stupidity coming from roidman arnold’s ignorant pie hole. perhaps roidman should stick to do what he does best, having extra-marital affairs with the maids.